Should You Try Out Airbrush Makeup For Your Wedding Day? If you follow celebrity makeup artists, you know that they often turn to airbrush makeup for their clients, especially for big occasions. It’s a trend you may be considering for your own wedding day in order to look flawless. 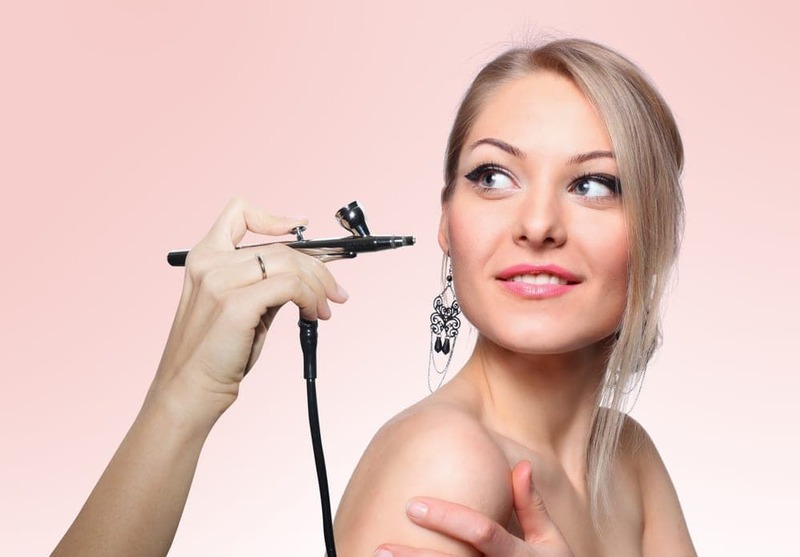 Take a look at the benefits and downsides of airbrush cosmetics. 1. Airbrush make up will last all day, as most products are based on silicone, rather than water. You’ll want make up that can withstand all the rigors of your wedding day, from hugs and kisses to hours of dancing. 2. Due to the mechanics of airbrushing, you’ll have more even coverage on your face, which keeps the finish mirror-smooth throughout your wedding. 3. Spraying microdroplets of makeup will decrease the actual amount you’ll need to use in order to get an amazing and lasting look. 1. One of the downsides to airbrushed make up, is that the products don’t always work well for people with dry skin. While it may look absolutely gorgeous on well-moisturized skin, if you know your face tends towards the drier side, airbrushed makeup may flake off. 2. This style of makeup might have a finer finish than regular makeup, however, if it gets messed up in some way, due to crying, for example, it can be much harder to fix after the fact. This shouldn’t be a problem if the makeup has a chance to dry properly. 3. The products used with an airbrush aren’t quite as common as regular cosmetics, which means the color options may be more limited. 4. The cost of airbrush makeup is considered a luxury, and most artists will charge extra for the service.